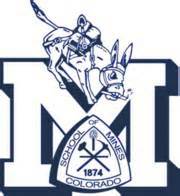 Dixie State University (3-4 overall, 3-3 in the RMAC) at Colorado School of Mines (3-4 overall, 3-3 in the RMAC) today, noon, Marv Kay Stadium in Golden, Colo. Previous Meeting: Colorado Mines scored 34 second-half points to ruin Dixie State’s 2016 homecoming 62-27 in their inaugural matchup. Players to watch: Quarterback Malik Watson had a strong game last week and has thrown for 14 touchdowns and 216 ypg this season. Sei-J Lauago has missed the last two games but still leads the team in rushing (478 yards). Kasey Allison (34 catches), Orlando Wallace (32) and Josiah Blandin (16) lead the team in receptions. Defensively Mike Jones has come on strong. He is followed by DB Trayvon Wwatson (45 tackles, two INTs) and Noe Perez (44 tackles, 7 TFLs) are just behind him. The defensive line has played solid. Players to watch: Quarterback Ben Bottlinger (116-202-6, 1,578 yards, 11 TD) ranks fourth in the RMAC with 225.4 passing yards per game. Running back Cameron Mayberry (128 carries, 774 yards, 11 TD) ranks third in the RMAC with 110.5 yards rushing per game. Preseason All-American and All-Conference receiver Brody Oliver (42 receptions, 638 yards, 6 TD) is Bottlinger’s favorite target, while Riley Hoff (39 receptions, 523 yards, 4 TD) is not far behind. On defense linebackers Averie Mansfield (46 tackles, 3.0 TFL) and Dean Wenger (46 tackles, 6.0 TFL, 2.5 sacks, INT) lead the defensive charge, while defensive back Logan Braden (40 tackles, 3.0 TFL) is second in the RMAC with three interceptions. Last year CSM was pass, pass, pass. This year the Orediggers use a balanced attack of pass and run to average 465.4 yards (236.0 rush/229.4 pass) of total offense per game. That balance has not bode well for them in comparison to last year when they rode their explosive offense to the second round of the NCAA Tournament. They still average 465 yards of total offense and hold opponents to 386 yards. Their point differential is a bit skewed because they beat New Mexico Highlands 70-0. Take out that game and they are less than a plus-2. All of CSM’s wins have come at home. Dixie State is 1-2 on the road. But I am picking the Blazers in an upset.